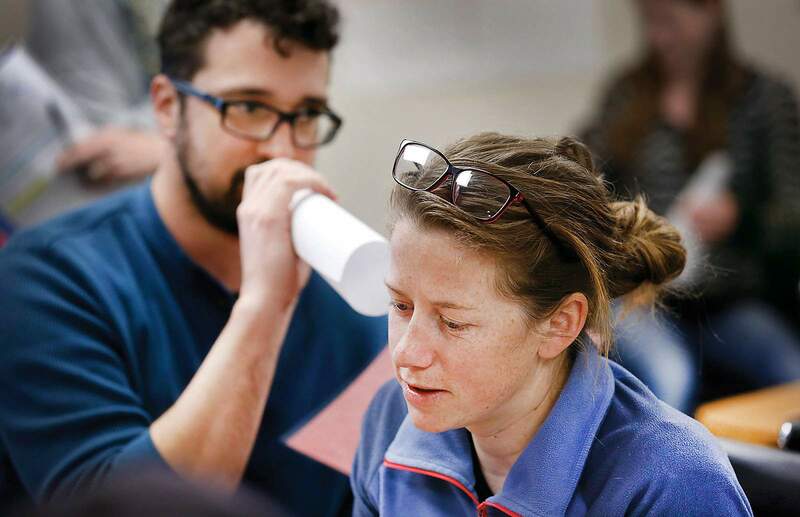 Jason Boeshore whispers through a tube to Lisa Slupianek, speaking words that mimic hallucinations and voices that some people experience in their mind during a Mental Health First Aid training. The eight-hour course hosted by Axis Health System focused on helping teenagers. About half of all chronic mental disorders begin by age 14. Laura Schiavone, a Durango School District 9-R nurse, leads a Mental Health First Aid training put on by Axis Health System. Peer-reviewed studies have found people who attend the class are more likely to help individuals in distress and experience better mental wellness themselves. Broken bones send patients to the emergency room immediately, but the stigma associated with a mental health disorder often keeps patients from asking for help for a decade, according to behavioral health experts. A national push to train more people in Mental Health First Aid is aimed at breaking down the stigma around mental health care and training as many people as possible to recognize the signs and symptoms of a disorder and to support people in crisis. Mental Health First Aid isn’t designed to prepare attendees to be counselors; rather, it gives students a broad understanding of symptoms, the frequency of mental health disorders and the tools and resources available to help people in crisis. “It significantly reduces the isolation that people can find themselves in,” Leavenworth said. 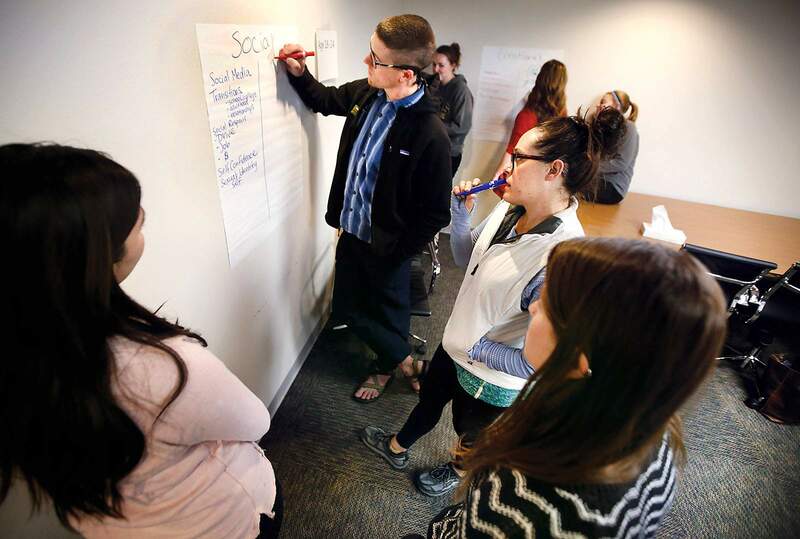 The trainings can demystify mental health and spark conversations about it in the community, Mental Health First Aid instructor Laura Schiavone said. Simply understanding the frequency of mental health illness can help reduce stigma, said Amber Beye, Community Wellness Supervisor with Axis Health System. For example, 20 percent of people ages 13 to 18 have mental health problems, Beye told a class hosted by Axis last week. The class focused on the mental health needs of youths and was attended mostly by professionals who work with teens. While some unpredictable behavior can be normal for teens, when it starts interfering with daily life, it may be a sign of deeper issues, Beye said. 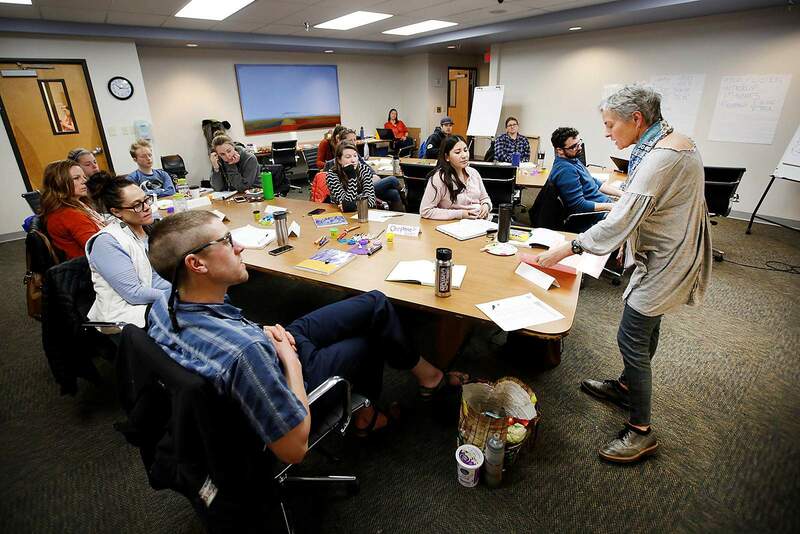 The training covers suicide prevention and is one important tool that can be used to reduce the rate of suicide across the state, said Barb Becker, director of Mental Health First Aid Colorado. In 2016, there were 1,156 suicides in Colorado, representing the highest number of suicide deaths ever, according to the Office of Suicide Prevention Annual Report. Amber Beye, community wellness supervisor with Axis Health Care System, instructs a Mental Health First Aid training. 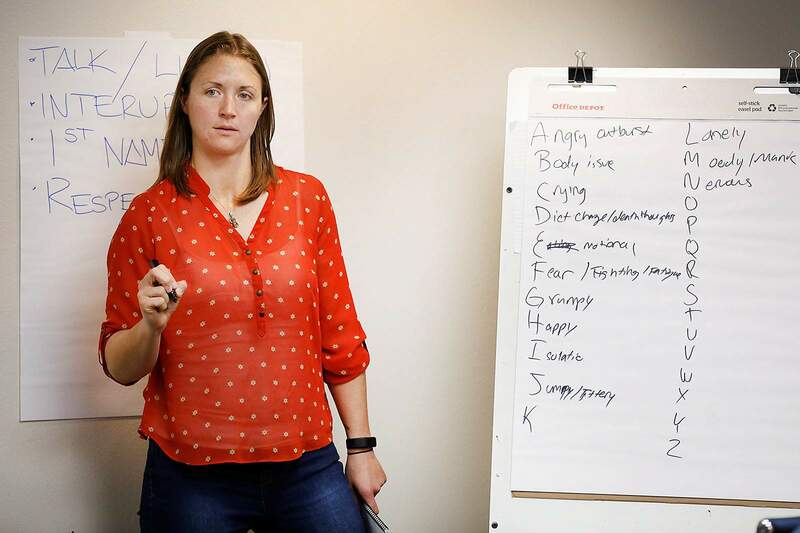 The class listed signs and symptoms of mental disorders in alphabetical order during a daylong training that focused on helping teenagers with mental health issues. 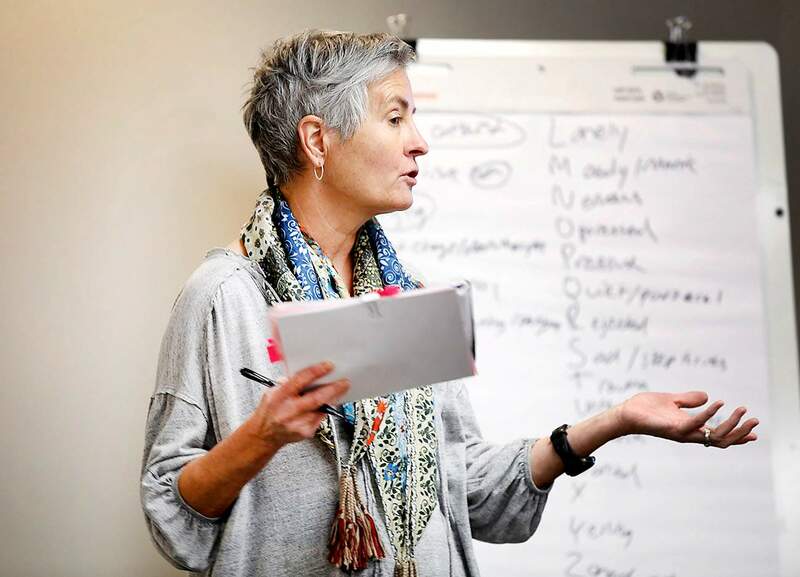 La Plata County has one of the highest rates of youth suicide in the state, and that highlights the importance of training parents, community members and professionals about how to connect teens with mental health care, Beye said. Axis also offers free first aid trainings focused on adult mental health issues across its five-county region. It provides about 10 classes per year, mostly to interested organizations, such as Fort Lewis College and Mercy Regional Medical Center, Leavenworth said. Mental Health First Aid was brought to the U.S. from Australia by the National Council for Behavioral Health, which promotes the training. Classes have been offered in Colorado since 2008, Becker said. Peer-reviewed studies have found people who take the class are more likely to help individuals in distress and experience better mental wellness themselves, according to the National Council for Behavioral Health. From left, Cheyanne Corley, Richard Brown, Jenn Bartlett and Emily Kasyon take part in a Mental Health First Aid training focused on helping teenagers with mental health issues. The class was put on by Axis Health Care System at San Juan Basin Public Health. As more people are trained and become connected with mental health resources, Becker expects behavioral health will improve across Colorado. Mental Health First Aid Colorado expects to celebrate training 50,000 people in May, she said. “Our goal is to get as many people trained as we possibly can,” she said. Gov. John Hickenlooper placed more emphasis on the program statewide after the movie theater shooting in Aurora in 2012, she said. Durango School District 9-R has offered training to staff for the last year, which has been well received, said Schiavone, the registered nurse for the district. The district is also hosting training in April for parents and community members, she said. A Youth Mental Health First Aid training will be held from 8:15 a.m. to 4 p.m. April 13 in the Durango School District 9-R board room, 201 E. 12th Street. If you are interested in attending a training or setting up a training for a group, call Amber Beye with Axis Health System at 335-2206 or email abeye@axishealthsystem.org. If you are experiencing a mental health or substance abuse crisis, call Axis Health System’s 24-hour hotline at 247-5245.